When you buy through my Kickstarter campaign you are essentially pre-ordering pins. Doing a pre-order through Kickstarter gives me the opportunity to create more than 1 design at a time and I get to offer a discount on the pins to you guys. For a limited time: Early birds can get pins for $8 (original $12 retail). These are prices I don’t offer in the shop! These are all designs I am not be able to make all at once without the Kickstarter support. The Kickstarter funds go to manufacturing, packaging, and shipping. 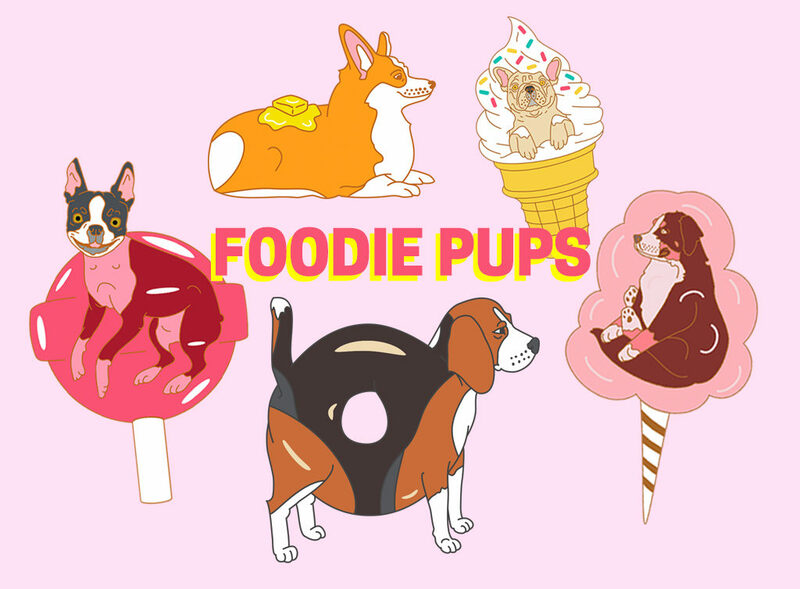 So head on over to my KICKSTARTER campaign, or search for Foodie Pups at Kickstarter.com. If I meet my kickstarter goal these pins should be ready in September. Disclosure: I may earn a small commission for my endorsement, recommendation, testimonial, and/or link to any products or services from this website.